Governor Cuomo issued a warning to college students returning for the fall semester that purchasing fake IDs is not only illegal, but also increases the chance of becoming a victim of identify fraud. Albany, NY - August 26, 2015 - Governor Cuomo issued a warning to college students returning for the fall semester that purchasing fake IDs is not only illegal, but also increases the chance of becoming a victim of identify fraud. 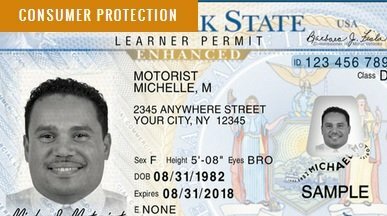 In recent years, investigators from the New York State Department of Motor Vehicles have found dozens of examples of underage license holders becoming victims of identity theft after purchasing fraudulent identification online from overseas companies. Subject: LongIsland.com - Your Name sent you Article details of "Governor Cuomo Warns New York's College Students About the Dangers of Buying False Identification Documents on the Internet"